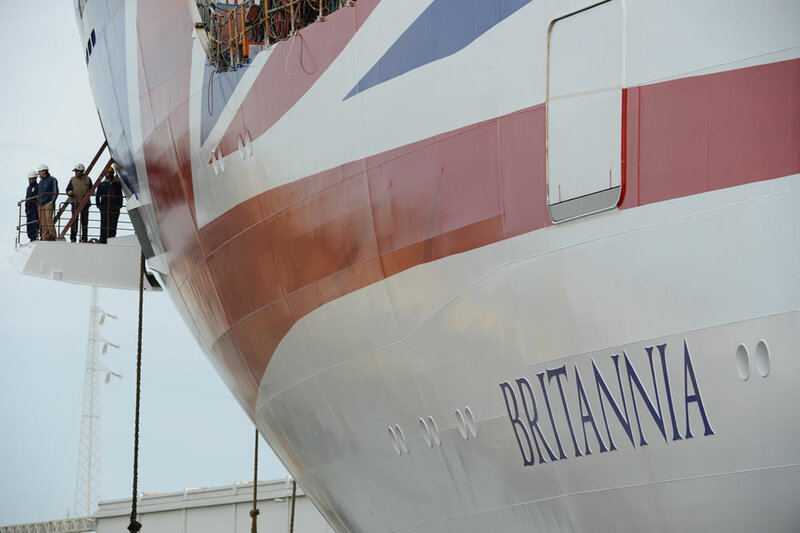 Today marks the day that P&O Cruises take ownership of their brand new cruise ship Britannia in an event held at Trieste, Italy. Whilst World of Cruising were sadly not at the event through the power of Twitter we can bring you the first reactions as the journalists and travel agents invited on-board toured the vessel. Dave Monk took this photo of the swimming pool on-board – sadly the Mediterranean sun had chosen not to shine over Britannia in Trieste during the morning. Hollie-Rae Merrick took a look at the Cookery Club venue on-board which is where James Martin and a host of other celebrity chefs will be wowing a selection of guests who pre-book with hands-on cookery lessons.